We would like to extend a warm welcome to our new members, including those who raced with us last weekend for the first time. It was a perfect dry season morning for our event and the water conditions got the thumbs up from competitors. A big thank you to our volunteer race director Alex Murdock (who also moonlights as our Equipment Officer) and his parents who did a fantastic job overseeing this event for us. Thanks also to the awesome volunteers who helped with rego, the aid station, marshalling, post race refreshments, set up and pack away - you made our day. Blue Cycles were on the spot and came to the rescue of those with mechanical issues on race morning - much appreciated. Shout out also to Darwin Surf Lifesaving who attended to our water safety & St John Ambulance volunteers who were present on the sidelines for that "just in case" moment. NT Long Course Triathlon C'ships conducted by Triathlon NT. Volunteers are needed for this event - please email eo@nt.triathlon.org.au if you can help out. This is definitely a not to be missed event and if you haven't ever raced at Lake Bennett before, you are in for a treat. It is also the first event counting towards our 2015 | 2016 Point Score - another reason not to miss participating as an individual or in a team. 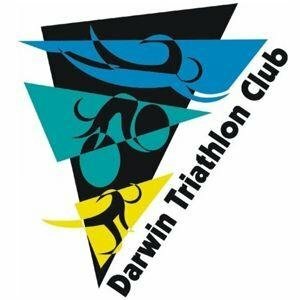 Non members can participate at this event, but a reminder that now is the ideal time to join Darwin Triathlon Club (membership for 2015 | 2016 now open here) and as well as 12 month membership you will benefit immediately from the cheaper entry rate for this event. 2014 | 2015. We hope you will join us in recalling (fondly we hope) the past 12 months while enjoying dinner. It's a casual family friendly affair from 3.30pm onwards. Pre-dinner platters provided. The presentations will take place around 5-5.30pm with dinner served afterwards. Numbers are required for catering, so please assist by obtaining your tickets early. BYO drinks, chairs, rugs, lights if you want. 1. 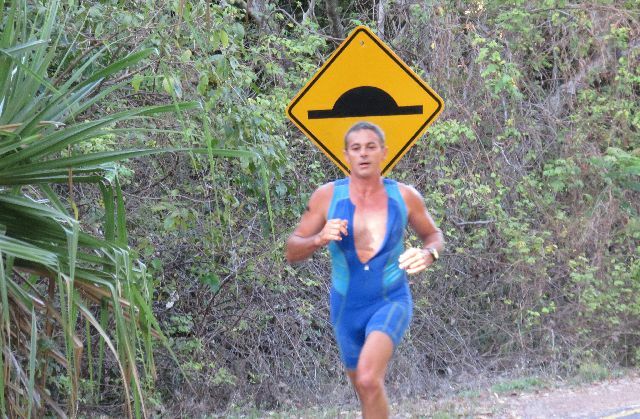 WANTED: To borrow - a wetsuit for Training & the Ultra Challenge. Female size 10-12 & approx 170 tall. 2. New items posted to DARWIN TRI - BUY | SWAP | SELL | WANTED Facebook page. Ask to join if you haven't already and check them out. 1. Thanks to David Hancock's efforts we are now awaiting delivery of extra signage recently purchased by the club for use at our events. 2. Venue bookings for our 2015 | 2016 Waterfront & Nightcliff Pool events have been made. 3. Good news: your committee voted to maintain the current event entry fees & to continue to absorb the online processing fee. 4. President Tony Cox will review traffic management services used at our major club events. 5. New bike course for Casuarina events is being looked at. 6. We are working on introducing a late entry for our club events next season. As our volunteers all lead busy lives we do need to know a good estimate of numbers by the usual close of entry (Friday night). The new system would allow entry the day before event up to 5pm (tbc). Good news option, albeit more expensive, for those who have an "oops I forgot" moment and want to participate. 7. Belinda Townend has organised some delicious catering for our Presentation Night function. 1. Some of our members completed Litchfield National Park Table Top Marathon at the weekend. One to watch for next time round. 2. Anyone up for Cycle Polo? 3. Territory tough vibes go over to Nikki Roddie who lines up for Ironman France at Nice this weekend. 4. Simon Watts heads up the the three day K2DC from Friday, fundraising for Total Recreation. 5. Well done junior Dominic Sloane who completed his Dominic Kool Kids Ride last weekend raising funds for Variety. 6. 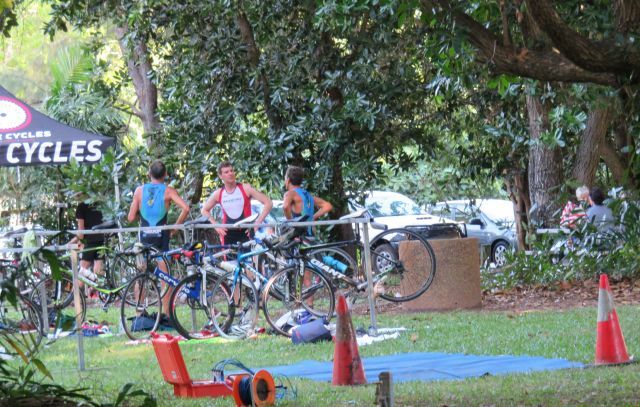 A number of our juniors are involved in Triathlon NT's Development Camp running all this week. NT Long Course at Lake Bennett.